The reason why an emergency situation causes panic is because it is unexpected in nature. A lock failure or lost key is no less than an emergency as it is completely unexpected and could lead to a world of trouble. Imagine being locked out of your own house on a rainy night or suffering an ignition failure while on the road? Such situations can understandably cause a lot of panic and may force you into taking a stupid decision. Hang on a minute! Before the next lock or key related malfunction catches you off guard and puts you in a tricky situation, store the number of Pittsburgh, PA’s best 24- hour emergency locksmith firm! Emergency doesn’t give you a chance to prepare in advance and may occur anytime. Unfortunately, a normal situation like a damaged lock could be an emergency if it arises in the dead of the night. For instance, if you are unable to enter your house due to damaged locks in the day, you could quickly head over to the nearest locksmith and get it repaired. No big deal. But what if the same lock decides to trouble you at 12 am after you return home from a party? No matter where you go in the city, you won’t find a locksmith to help you out. This is where we step in! We are an affordable 24- hour emergency locksmith firm that provides round-the-clock solutions to all your needs. Need a quick unlock service? Can’t find your keys? Garage door is jammed? 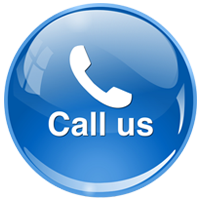 Call us even in the middle of the night and we will happily resolve all your solutions. It’s a popular misconception that overnight services cost a lot of money and we are here to bust the myth. In a departure from the past, Pittsburgh Advantage Locksmith offers 24x7 locksmith services at a standard affordable price. This means that you can call us even after dark without hesitation and get all your issues resolved without worrying about burning a hole in your pocket. We assure satisfactory resolutions to all your lock or key related issues any time of the day. 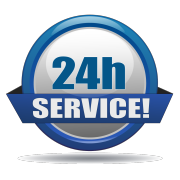 Avail our 24 - hour emergency locksmith service by calling us on 412-387-9453!